The apple tart is a piece of culinary art. 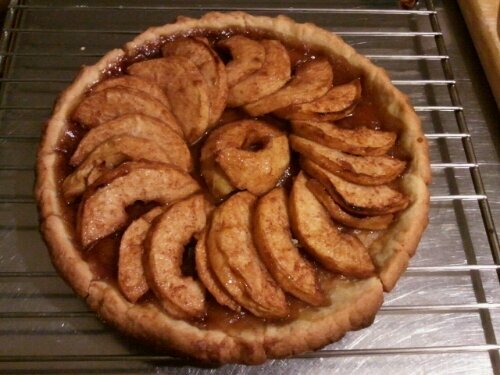 The apples inside the tart are like the fan blades. The crust burned in the oven in a great temperature like if the sunburn it leaving a red brown color. The dessert is delicious to be eaten and taste its flavor.